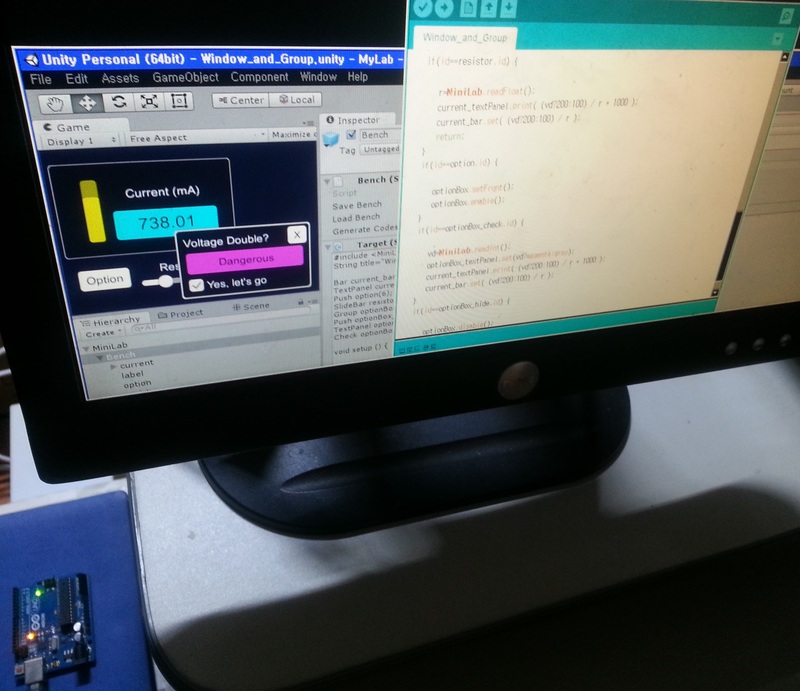 Just drag and drop prefabs to build a UI without coding, and you can concentrate efforts on programming Arduino. Unity is required. Unity is used generally to build an application after editting and running in it, but MiniLab is not a set of parts to build applications, and it runs only in Unity Editor.